Taking on the competition in fast-paced online games requires dedication, and this desktop PC helps ensure that you have the speed and versatility you need to showcase your skills and climb the leaderboards. The liquid cooling system makes sure the desktop doesn't overheat, even during marathon gaming sessions. High-performance 8th Gen Intel Core i7 processor. Runs your programs, apps, games and more. 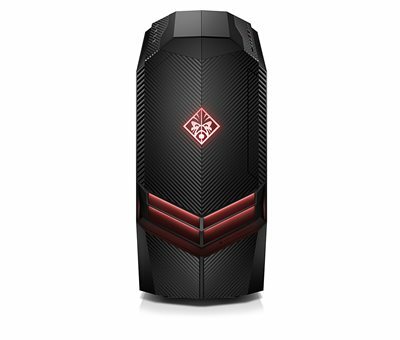 Includes 16GB of memory to run your programs and games. You can expand the memory up to 32GB. Additional memory is sold separately. 2TB (2000GB) hard drive provides ample storage space for songs, movies and other digital media, while a 512GB solid state drive can accommodate your operating system and commonly used apps and programs. Solid state drives have no moving parts, which generally results in faster start-up times, reduced heat production and less drain on the battery than hard drives. nVidia® GeForce™ GTX 1080 Ti graphics card has 11GB of dedicated DDR5X memory to help make sure even the latest games run smooth. Liquid cooling system provides powerful thermal management help keep sensitive parts running as cool as possible. Memory card reader for file transfers made fast and easy. Transfer your digital photos, music and other files from 3 types of memory cards. HDMI™ port lets you view videos and photos on your HDTV. (HDMI cable sold separately). 3 DisplayPort ports allow you to create a triple-display setup for a truly immersive experience. Features 2 USB 3.0 Type-C™ and 6 USB 3.0 ports for ultra-fast data transfers. USB 3.0 is up to 10 times faster than USB 2.0, yet fully compatible with USB 2.0. 2 USB 2.0 ports provide additional connectivity for peripherals. Includes a USB keyboard and wired optical mouse. Installed with Windows 10 Home operating system. Easily swap out the hard drives or get inside the system with the included double-sided screwdriver. Enables convenient transportation for moving your battle station to a new spot. Easily plug in your favorite gaming accessories with front, angled ports.